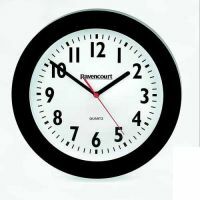 Wall clocks with bold, larger than average digits and a contrasting background. 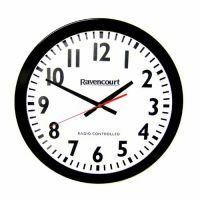 These clocks are battery operated, some are automatically adjusted to the correct time by radio signals. 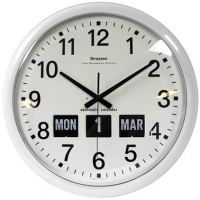 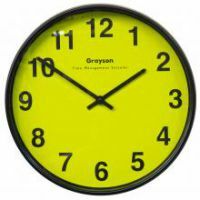 These wall clocks with good colour contrast and larger digits could be helpful if you are partially sighted (RNIB, 2009), (RNIB, 2009). 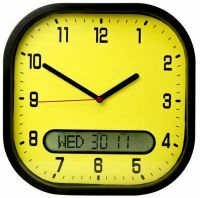 A radio-controlled clock is accurate to the second and automatically corrects to British summer time or daylight saving. 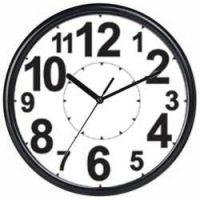 The clock must be within 900 miles of the National physical laboratory transmitter in Cumbria to receive the radio signal (Hersh and Johnson (Eds. 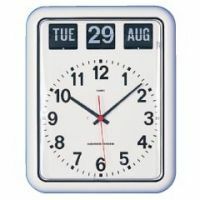 ), 2008). 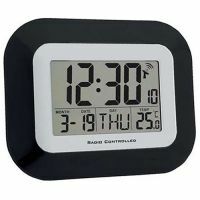 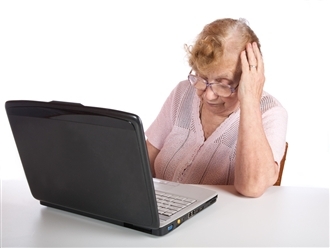 You may also wish to view kitchen timers with large displays or features to enhance ease of use.